At Self Storage Plus, our customers are our top priority, which is why we offer you the best service possible for a superior storage experience. We have designed our Sterling, VA self storage facility with premium features to ensure your storage rental is as smooth as possible. For your peace of mind, we monitor our grounds with 24-hour digital video surveillance and keypad entry, and our friendly staff has office hours 7 days a week to assist with all your packing and storing needs. Our property is fully fenced and well-lit, so you’ll always feel comfortable dropping by your storage unit between 6 AM and 10 PM, whether it’s an early morning trip before work, in the middle of the day, or a late night visit. 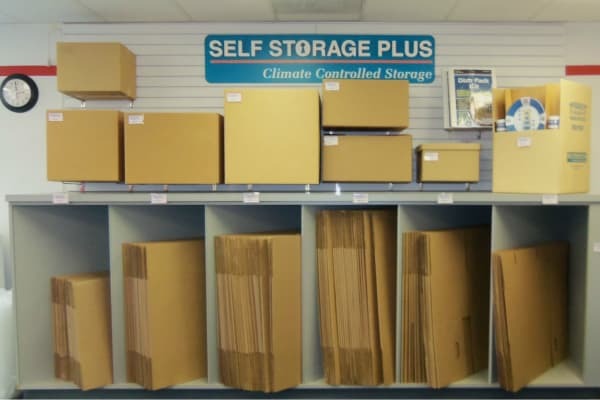 Our storage units are available in a range of sizes, with climate-controlled and drive-up options available. We provide carts and dollies for easy loading and unloading, and every unit rental comes with a free one-time use of our move-in truck to make moving day as simple as possible. We also offer month-to-month rentals, so you can store your items for as long as you need. As a locally owned company committed to our customers, we are dedicated to helping you find storage options that fit your life. To find out more about our facility and its features, contact us today.